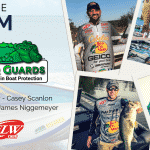 Farmington, IL February 1, 2019 – Gator Guards, the leading global innovator of boat protection products, announced their FLW Pro Anglers for the 2019 season. 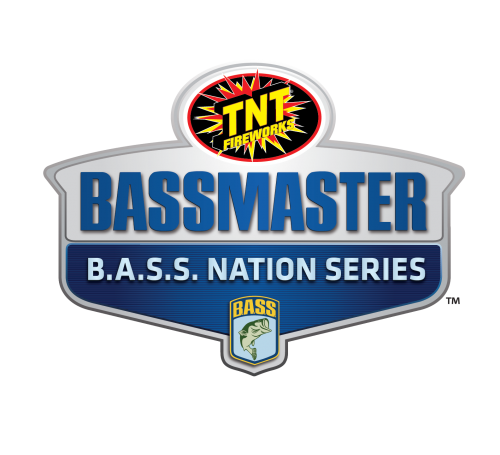 Headlined by anglers who embody the values of our company on and off the water, we’re happy to welcome back FLW Tour anglers Brian Latimer and Casey Scanlon, while bringing on James Niggemeyer and John Hunter to round out the team. 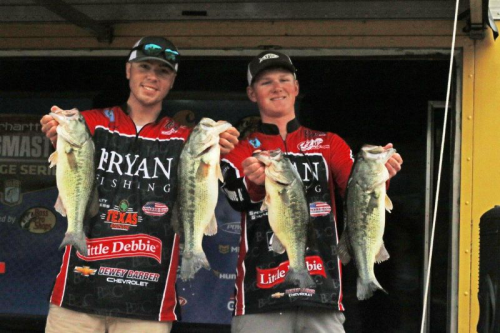 “Not only are they great anglers, but they have a passion in common for sharing their knowledge with their followers and the next generation to help ensure the growth of the sport”. Says Gator Guards, Nick Barr. In addition to a variety of regional and local team members across the country. Each of them will have a KeelShield protecting their hulls and leading the way as their boats endure the rigors of the tournament season. 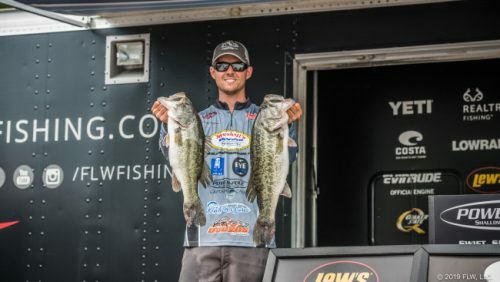 Brian Latimer, running a Falcon Boats F205 from Belton, SC is a rising star on the FLW Tour and social media as his down to earth approach with fishing and fans allows him to share his daily experienceson the road and connect with anglers who wish they were out there with him. 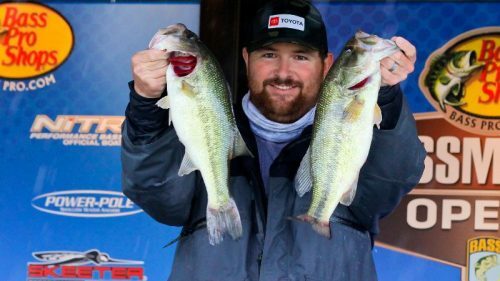 John Hunter, a Falcon Boats Pro from Kentucky has climbed the ranks from co-angler to the front of the boat quickly, starting his second year on the FLW Tour this season after qualifying for his first Forrest Wood Cup back in 2015. “I’m always looking for ways keep my boat in great shape throughout the season, and nothing does that better than Gator Guards”. To find a local Gator Guards team member near you, just click Hereto view our roster. 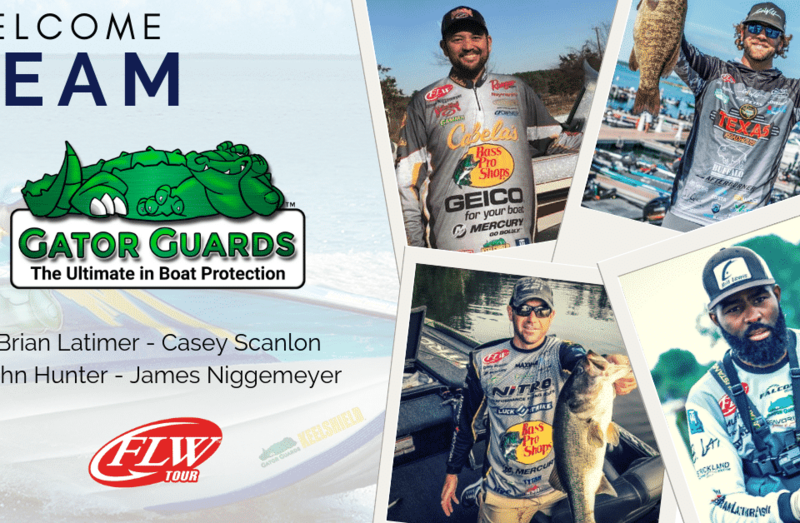 Gator Guards™, a family business from Farmington, IL is celebrating its 25th anniversary protecting all types of watercraft with easy solutions for the everyday boater. With their innovative, durable product line they have become the trusted protection supplier of over 30 boat builders including Triton, Nitro, and Skeeter Boats.